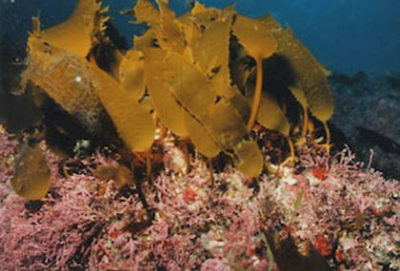 Contains only traceable grown-in-Japan seaweed. Just add cold water or hot water and it will be ready! 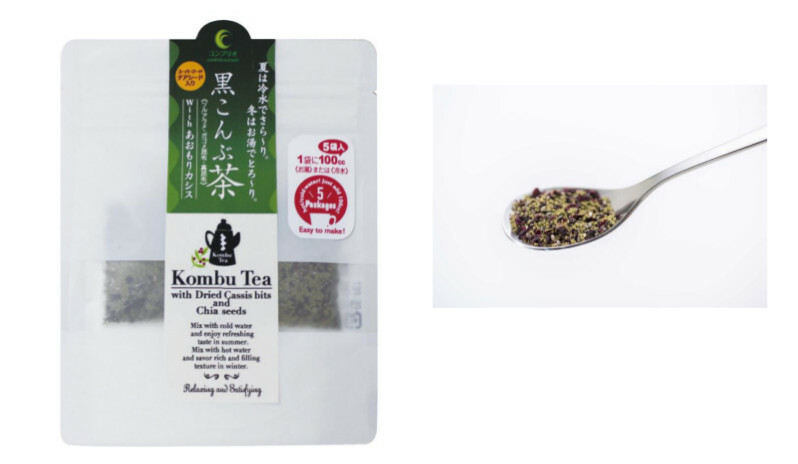 Processed 3 kinds of From-Aomori seaweeds (tsuruarame, gagome kombu & ma kombu from Oma area) and seaweed salt (with tsuruarame kombu) into granule and added grown-in-Aomori dried black currants.Also includes chis-seeds, a superfood. 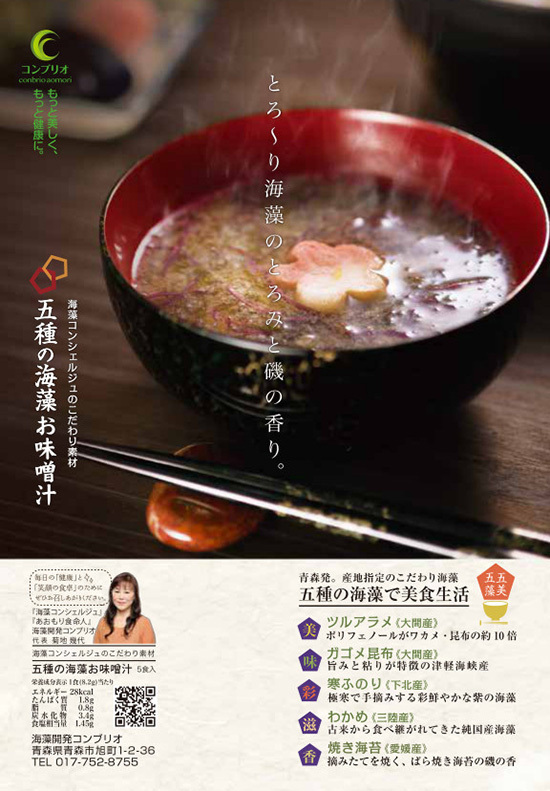 Enjoy by adding either 100cc hot water or cold water. 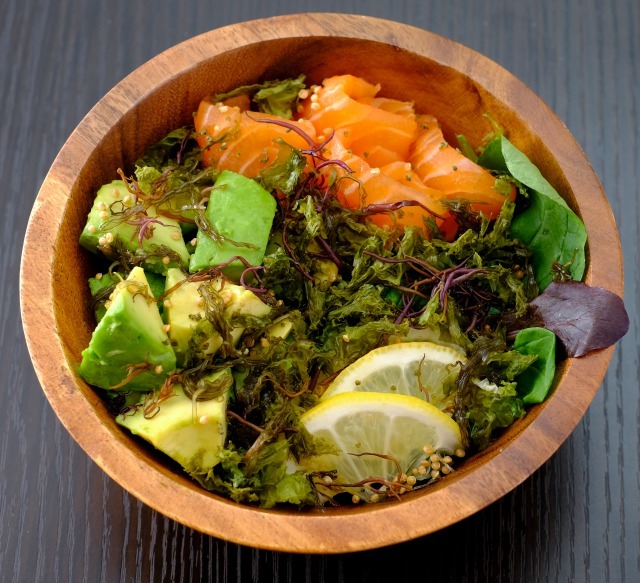 ●Tsuruarame Kombu： Rich in dietary fiber. 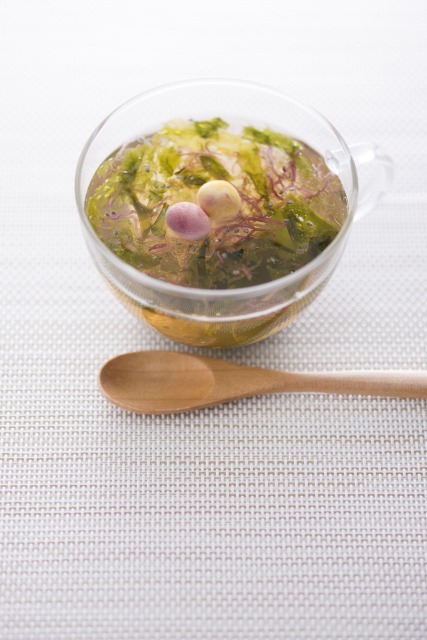 Contains 10 times more polyphenol that wakame seaweed or kombu. 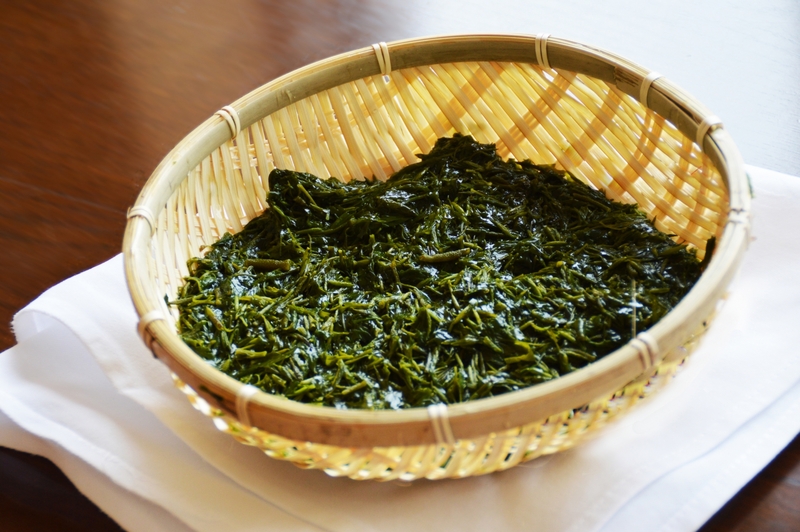 ●Gagome Kombu： Known for its umami and stickiness. 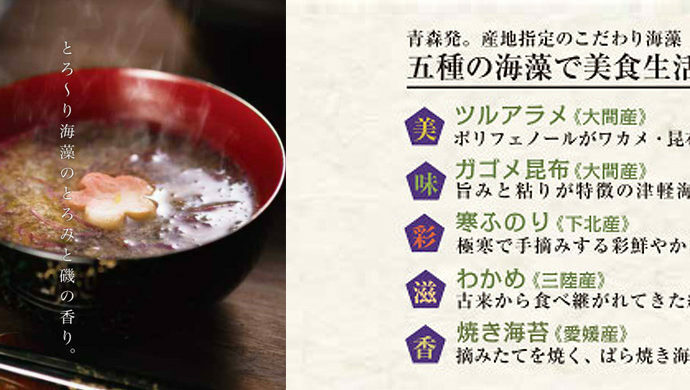 Contains lots of fucoidan; a hot-topic ingredient in Japan. 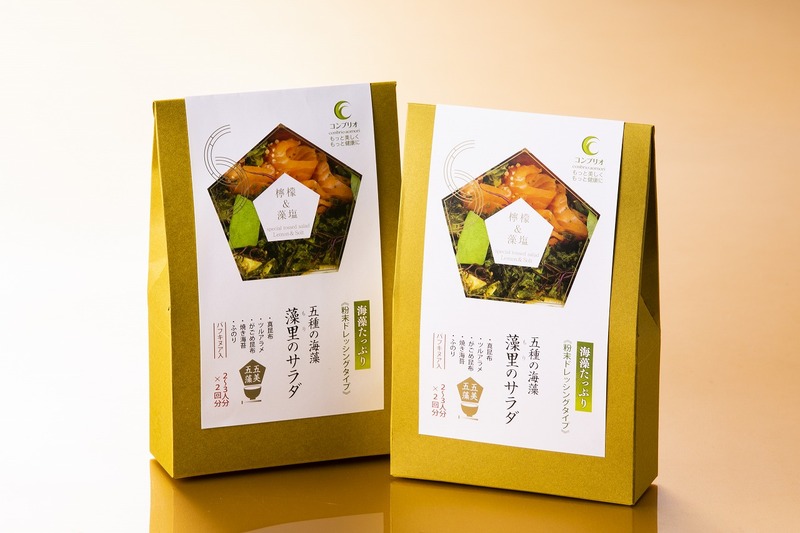 ●Ma Kombu: Used only 2 year-old ones known for its elegantly sweet flavor. 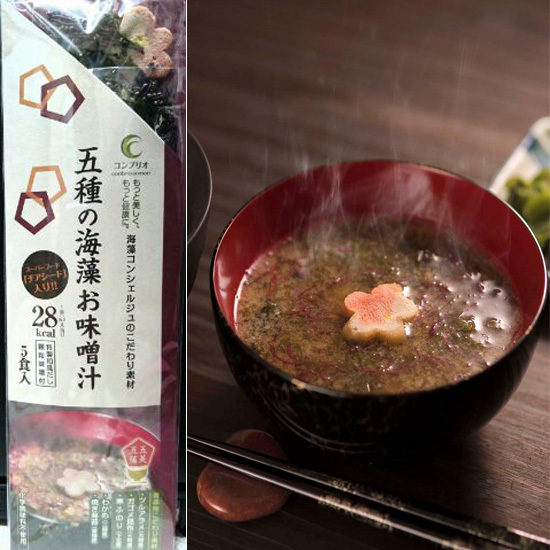 ●Aomori Cassis (black currants): Regional specialty in Aomori City with the highest production amount in Japan. 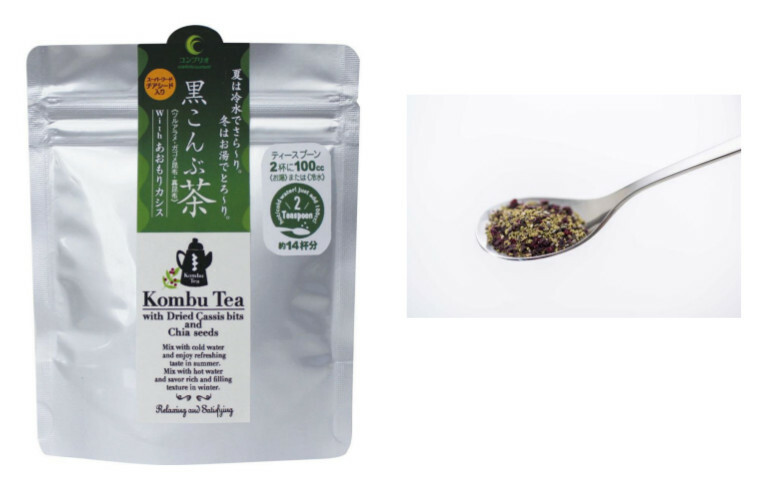 ●Chia-Seeds (a superfood): Rich in αlinoleic acid, essential amino acid and dietary fiber. 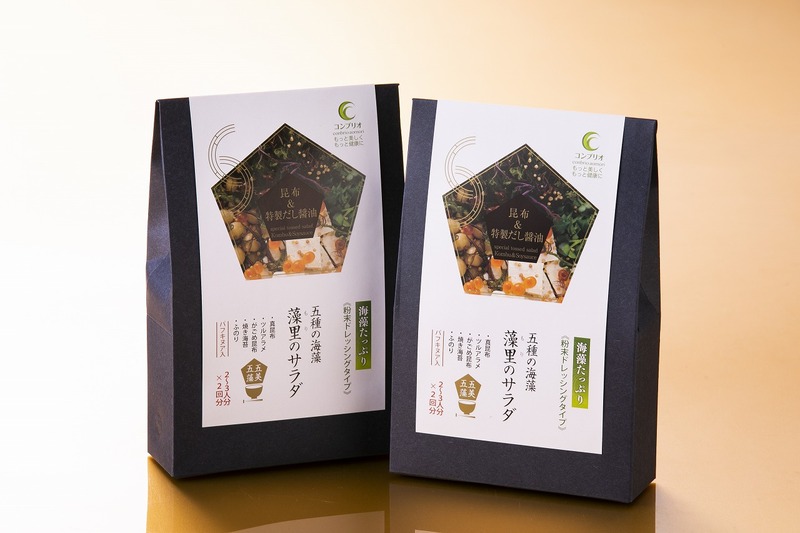 Made with our original flavored granulated Miso without MSG. Just add hot water and it will be ready! 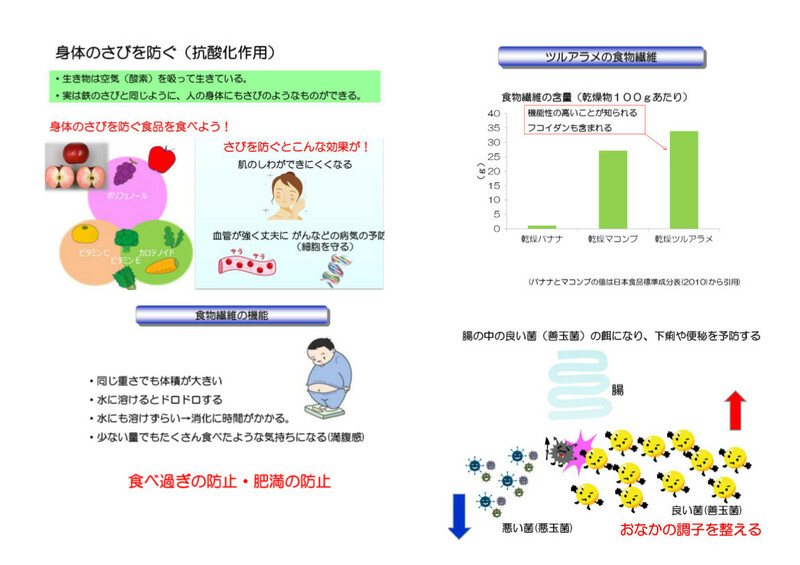 ■Storage：Please avoid direct sunlight, high temperature and high humidity. 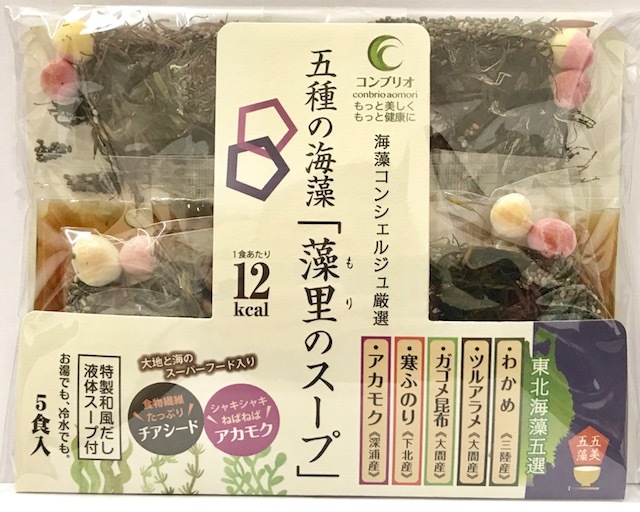 Copyright © 2019 海藻開発コンブリオ、アカモク・ギバサ、ツルアラメ、ガゴメ昆布・刻みあらめ通販、青森県 All Rights Reserved.